This is about our Soul fields, our hologram and pranic column (aka the pranic tube, central vertical power current, kundalini, silver cord, and silver thread), our personal regeneration chambers, Soul wounding, the dark network, the unreliability of 3D telepathy, the experiential capacity of our many layered multidimensional self … from our own physical self to our Planet, our Solar System, our Milky Way Galaxy, our Universe, the Multiverse, and Source … and the help we may ask of Light Beings, Ascended Masters, the Angelic Realm, and higher realms of ascended beings. In the video, note the interplay of the ever-changing sunlight with the words that are spoken. This ‘play’ of our Sun with us … this offering of wisdom and loving sustenance, occurs on many levels, at every moment, and not just in the physical realm. For us on Earth, the LIght of our Sun is like a physical symbol of God’s love for us. Light is intelligent; it creates our physical form, and our many, dimensionally diverse, hologram displays. Light creates what we sense as ‘Reality’. If you can imagine your Soul field as a huge crystal of Light … shaped kind of like a sphere, but with facets like a diamond, and full of Light … And in the middle of that sphere crystal, which is the Soul field, there’s a vertical band of bright, white Light. And that is our pranic column, or pranic tube. And just in the center of that pranic tube, in the center of the Soul field, there is a hologram which looks like your physical form. However, it is not solid, like you see it. The hologram is shining particles of Light, that turn, and change, and somehow appear to be physical form. So, in the representation that I am going to be making … the collage that I am going to be making … you will see the physical form kind of semi-transparent, if I can get it to work like that. And top and bottom, and all the way through it, is the pranic column energy that connects to the top and bottom of the Soul field. first, you could turn it off. And then you could turn it ‘on’ to a first position … position number one. And there are a number of more toggles, where you can switch the Light higher and higher and higher. Ok? Not exactly brighter and brighter and brighter. But in amplitude, finer and finer and finer. This Light … the changing Light show … is all taking place inside of your Soul field. Now, there are a couple of points to make here. The first point is, the hologram could not exist if your Heart energy were not turned on a little. Ok? Now, the thing is that for humankind, on Planet Gaia right now, the Heart is not quite turned on to the first position. So there is a thing happening, with regard to the demonic realm. The human Soul field has existed in very deep, density for, in my opinion, 150,000 years now … a very long time, let’s say …. During that time, the axiatonal lines of Light within our Soul field have become half-way filled with Darkness. And in that Darkness dwells what is known as the Demon Realm. Now the Universe is Fractal, and so, we are interacting with other Soul fields in a way that, at this stage of our awareness, we cannot even imagine. But the interaction that is taking place on this 3D plane right now is what is called the Dark Network. The Dark Network is demon-inhabited, from an anthropomorphic point of view … looking at that as if demons were people. The problem there is the axiatonal lines of Light, and the amount of Light that is flowing through them. So, when we interact with other people telepathically, on this plane, basically, for our axiatonal line-of-Light message to get to theirs, it has to go through the Demon world, and is distorted in that manner … Or you could say, simply, by lack of Light. But a lot of people perceive it as alive. And Light is alive. But this is the kind of Light that is not very true at all. So, you have your Demon Hordes. Now, because we have existed in this dimension for a very long time, there are what Daniella Breen describes as ‘Soul wounds’ … which in some cases are like tears in the Soul field, or places where the Soul field has come ever so slightly apart. And within those areas, between the places where the Soul field should be together, there is an overlay of Dark energy that connects, through the axiatonal lines which are half-lit, to the Soul field of other people. So with 3D, when we hear people on the astral ‘internet’, what we are really hearing is a bunch of Demonic energy, which is distorting the true nature of the eternal Soul of all beings. So it is not worth much, in that state of mind. So that is the first thing to know: That we have an enemy. And that enemy is the Darkness in our axiatonal lines. The remedy is to turn the energy of our Heart to the first ‘on’ position, ok? And at that point, our axiatonal lines of Light will be flooded with Light, and there will be no more distorted messages. Until we do that, we are greatly outnumbered by what they call the Demon Hordes, or the Darkness. But it is completely up to us; this is a Free Will Planet. We can do as we like. Whoof! That was a hard one! Now, getting on to the other positions of the ‘on’ switch for the human Heart: There are tiers upon tiers of higher realms, all co-existent with the current, third-dimensional Universe, all existing in the same Soul field … our magnificent body of Light, and our magnificent Soul field contains all of these realms. Since this is a fractal Universe, everyone else’s Soul field also contains all of these higher realms, and interacts with our own Soul field in each realm, in a synchronous manner. And this is one of the great marvels and mysteries of the Universe. And so, the sequential ‘On’ ‘On’ ‘On’ switches … like, level 2, level 3, and level 4 … of our Hearts, fsec so that we can experience these various realms. Now if we want, we can have several levels of switches … or all levels of switches … turned on at the same time. Which I have not done, but I have heard that it is possible. And that would be pretty cool … to see the whole Light show, the entire Light show, happening all at once, wouldn’t it? That would be quite an experience. Something to look forward to. So, really, this video and the collage are about what we are facing in the 3D world. And what we have to do in order to escape it, ok? So, no more Demonville. No more Dark Network. No more Darkness whatsoever. First, we turn on the Light of our Hearts. And then, from there we experience the miracle of all the realms of existence. So. The first picture is a representation of the human Soul field, with a projection of the hologram of the human body inside it. And then from north to south, you see a very bright column of Light that people call the pranic tube or the pranic column. At the very top of the Soul field is a Regeneration Chamber for the physical body. Image: “Soul Field with Our Amazing Body Hologram,” collage by Alice B. Clagett, 16 January 2015, Wittelsbach Diamond, by Physolamuse, public domain. Figure of man, public domain. Collage is CC BY-SA 4.0 … The white silhouette of a man is inside an image of a diamond about four times larger than he. There is a vertical white hairline dissecting the man and the diamond. The diamond represents the man’s EMF, or electromagnetic field, and the vertical hairline represents the Pranic Tube, or Central Vertical Power Current of his EMF torus. The hairline is labeled ‘Pranic Tube’. At the top of the diamond is a bracket labeled ‘Regeneration Chamber’. The second picture shows the Soul field of two people, with a couple of instances of Soul wounding. In the one case you have, running throughout, on the left-hand sphere, a hairline fracture … what we call a Soul fragment … that was probably caused by some past-lifetime deep trauma … maybe being eaten by a sabre-toothed tiger, or something! … and on the right-hand side of the left-hand sphere you have a wound that looks more like a jagged tear that is actually almost impinging on the hologram … the physical health of the person. So, into these hairline cracks, and into these rents or tears in the Soul field caused by many, many thousands of years of existence in the third dimension, are areas of relative Dark … like the flaws in a diamond. Just as the diamond attracts the Light and reflects the Light, the flaws in the diamond absorb the Dark and attract the Dark. So there in our Soul field are these tiny flaws, ok? And into these flaws, through the axiatonal lines, the Demon World can flow. So this picture shows two Soul fields, separated by a 3D concept of distance … of space … and a link between them, that has within it a Demonic influence. That is to say: Not total Light. So when we, through telepathy, choose to communicate on a third-dimensional level, our communications are necessarily tinged with Darkness. So there’s a lot of falsehood in them. And because of the nature of the Demon World, our interactions on that level, through telepathy, tend to set one human against another human Soul. So the first thing to realize is that these communications are false. We know all human Souls to be our eternal friends. Our eternal brethren. Our brethren of the Stars. And we know the Demon World to be false. And any communications that we receive clairaudiently, that are less than of Love and Light, are not of our own brethren’s Souls. They are from some other, false source. On the left, the white silhouette of a man is inside an image of a diamond about four times larger than he. On the right, the white silhouette of a woman is inside an image of a diamond about four times larger than she. A vertical white hairline dissects each diamond and the person inside it. There are white flaw lines inside the diamonds, representing incarnational Soul wounding. Between the diamonds, and splashing into them, is a horizontal, red band of color, with black, smiling, dancing devil shapes inside it. Legend: Soul wounding is energy far from love, caused by discordant incarnational experiences. Discordant energy emanates from Soul wounding through axiatonal lines half-filled with Darkness. The representation here of ‘Demon Hordes’ would better be shown as fine, wavy filaments of ‘dark’ light, or as wormholes with ‘squirmy’ energy oft personalized as Demonic. 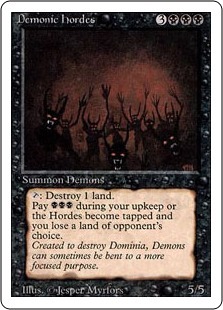 Here’s the image I settled on, in the revised video, for the little dudes in the red band on the above image … http://mzayat.com/image_gallery/n1256233.png … I really preferred the original artwork of demon hordes … http://www.mtgmintcard.com/images/mtg/singles/3ed/eng-reg/DEMONIC-HORDES.jpg … from the game “Demonic Hordes,” way so cool illustration copyright Jesper Myrfors (1) … https://shop.tcgplayer.com/magic/revised-edition/demonic-hordes?xid=i868985748a984075ba71d688c5b79baf … but couldn’t use it because of copyright issues. I also preferred a faceted Feng Shui Crystal Ball Prism … http://img0028.psstatic.com/128122007_-shui-crystal-ball-prisms-w-14mm-octagon-crystal-home-.jpg … to the Wittelsbach-Graff Diamond … https://upload.wikimedia.org/wikipedia/commons/0/05/Wittelsbach_diamond%2C_before_beeing_recut_by_Graff.png .. It is kind of hard, in the third dimension, to show a picture of something that is simultaneously on many dimensions, in the same space and time … or in the same field of awareness … So what I have done is, I’ve found a series of pictures of the different realms of reality, and I’m presenting them on the blog as links, because of copyright problems. So it is going to be up to you to imagine each of those pictures, one superimposed upon the other, so that you have kind of a translucent, tiered effect, and get the notion of these various, multidimensional aspects of your Soul. Now these actually exist within the human Soul, as well. Because of the fractal nature of the Universe, when we turn the switch of our Heart’s awareness high enough, we actually become, for instance, all Planet Earth. 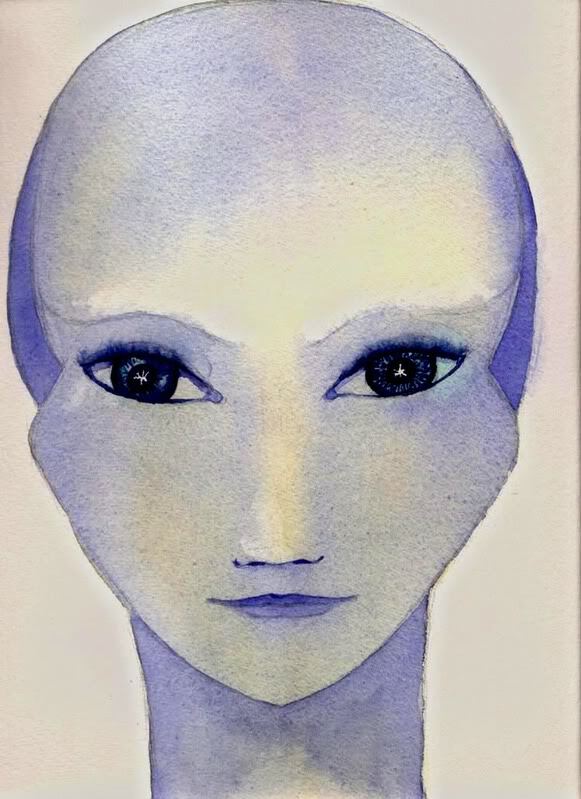 We become, in our sensitivity and awareness … our hologram becomes … all Planet Earth. Then, if we turn the switch up higher, we actually become our entire Galaxy. 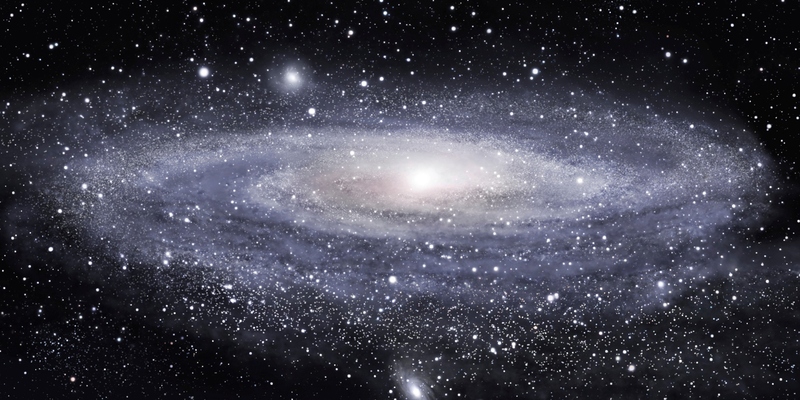 With the sensitivity, the electromagnetic force field, of the entire Galaxy. The feeling of the incoming flux of Light and Love. The swirling of those atmospheres. The welcoming of Planets of the Suns’ incoming solar winds, and so forth. We become like the Song of Our Galaxy. Then, if we turn the Light up even higher, we actually become the Universe. Yes! The entire Universe. There’s a map of the Stars in our hologram, at that level. We can be anywhere, at any Star System, at any time. And beyond that, I understand, there are quite a few levels, including our own Source, and the Source of All That Is. These are things that I haven’t experienced quite yet, and I’m not too conversant with. On the left, the white silhouette of a man is inside an image of a diamond about four times larger than he. On the right, the white silhouette of a woman is inside an image of a diamond about four times larger than she. A vertical white hairline dissects each diamond and the person inside. The diamonds represent the people’s EMFs, or electromagnetic fields, and the vertical hairlines represent the Pranic Tubes, or Central Vertical Power Currents of their EMF toruses. There are white flaw lines inside the diamonds, representing incarnational Soul wounding. Caption: Upper left are Christ, Mother Mary, and the heavenly hosts, adapted from ‘The Assumption of the Virgin,’ by Francesco Botticini, 1516-1518, public domain. Upper right are saints, adapted from ‘The Forerunners of Christ with Saints and Martyrs’ by Fra Angelico, 1423-24, public domain. Each group is sending golden white Light down into Soul fields. 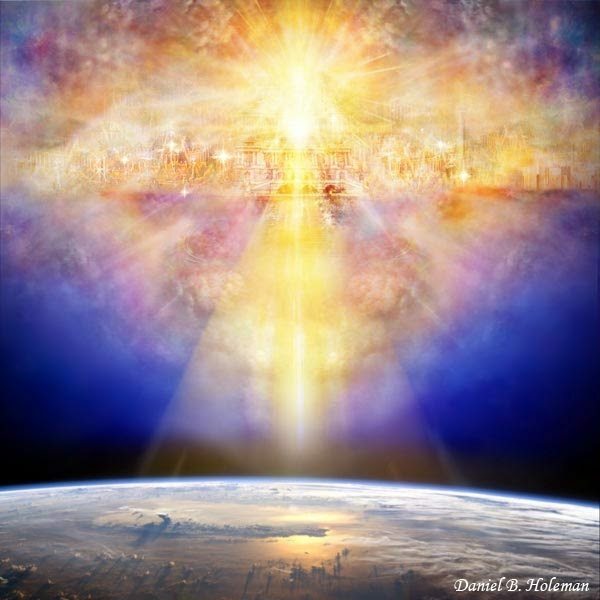 Image: “Ascension First” by Daniel B. Holman, https://www.messagescelestes-archives.ca/wp-content/uploads/2014/04/img009.jpg … Visualize the top part as the Celestial Realms, and the sphere at the bottom as your Soul Field. Image: Earth and her Grid of Light: https://cdn2.fractalenlightenment.com/wp-content/uploads/2017/02/CrystallineEarthgrid1.jpg?iv=573 .. Image: Our Solar System: https://image.slidesharecdn.com/solar-system-powerpoint-150116115614-conversion-gate02/95/solar-systempowerpoint-21-638.jpg?cb=1421431043 .. Image: Our Milky Way: https://s3.amazonaws.com/bg3-blog/blog/wp-content/uploads/2016/09/20154803/MilkyWay.jpg .. Image: Star Map of Our Universe: https://i1.wp.com/wise2.ipac.caltech.edu/staff/jarrett/2mrs/2MRS.allsky.png .. Image: Multiverse (aka Omniverse): https://vignette.wikia.nocookie.net/swfanon/images/8/80/THE_OMNIVERSE.jpg/revision/latest/scale-to-width-down/1000?cb=20130925183404 .. Image: God as Source: http://universocultural.org/wp-content/uploads/2013/12/bigbang.jpeg .. Image: “The Angel Appearing before the Shepherds,” by Thomas Buchanan Read, 1870, public domain … Note the translucence of the shepherds as well as the Angel. I forgot one important thing, and that is: If we are having trouble getting the Heart to turn to the first ‘on’ switch, we can always ask up, to the higher realms, You can see more on this, in my blog category: Ascension Team. 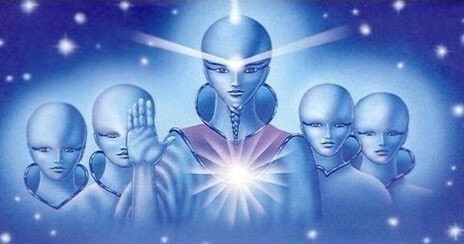 By that I mean the Devic Kingdom; our Star Brethren … Hathors, Pleiadians, Arcturians, Andromedans, and so on; Angelic Team; Ascended Master Team; and all that. Image: Deva of a Town: http://www.elvirafarkasova.cz/img/mid/958/deva-mista.jpg .. 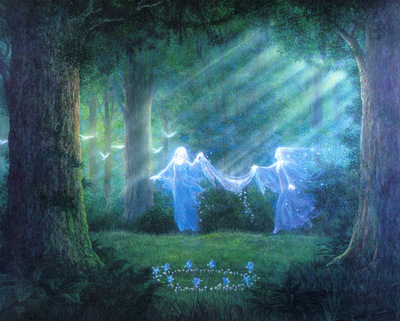 Image: Devas and Nature Spirits: http://wulfworks.net/keeper-of-the-trees-web.jpg .. 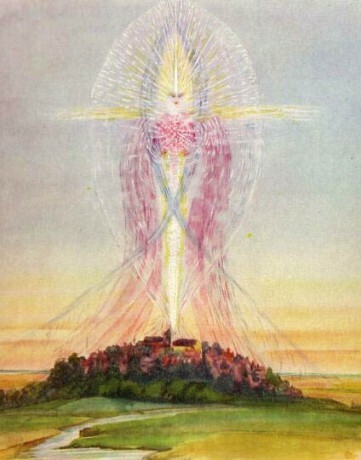 Image: Nature Spirits: http://artmight.com/albums/2011-02-07/art-upload-2/w/Williams-Gilbert/Gilbert-Williams-The-Hidden-Worlds/normal_kb-Williams-Gilbert-Dance-of-the-Nature-Spirits.jpg .. Image: Ascended Masters, http://omnithought.org/blog/wp-content/uploads/2016/12/ascended-masters.jpg .. 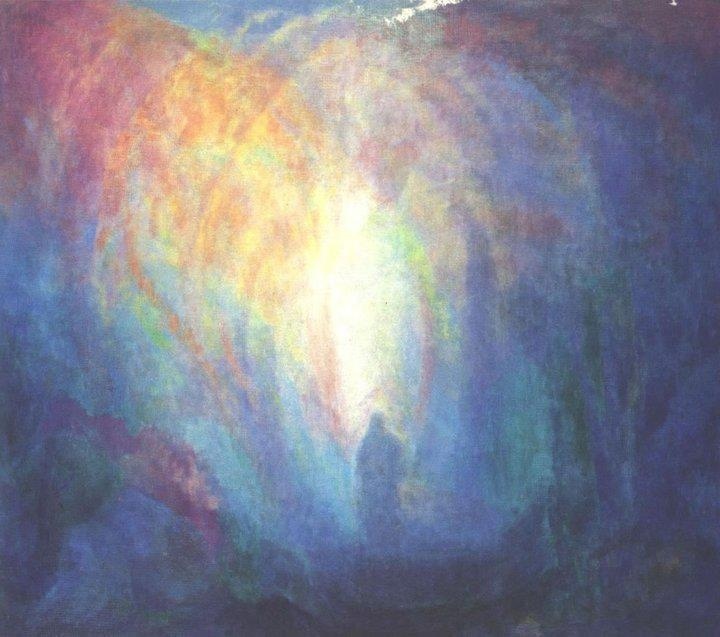 Image: Angelic Realm, https://i.pinimg.com/736x/19/fe/39/19fe39532ffec1aadd443eef086a079b–realm-angels.jpg ..
(1) Link: “Jesper Myrfors” … https://mtg.gamepedia.com/Jesper_Myrfors ..
Link: “Laniakea, Our Home Galactic Supercluster, and Clearing Our Axiatonal Lines,” by Alice B. Clagett, https://wp.me/p2Rkym-69s ..
Link: Daniella Breen, Spiritual Counsellor: http://www.daniellabreen.com/ ..
Link: Lisa Gawlas, Spiritual Counsellor: https://lisagawlas.wordpress.com/ .. 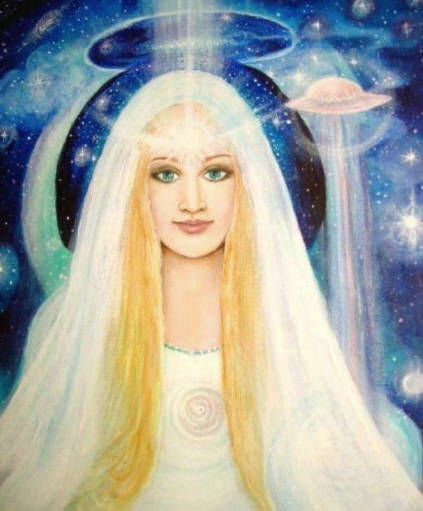 This entry was posted in 06 – Monasic body / Higher mind body (Cosmic mind), 11 – Galactic body (Milky Way), 15 – Multiverse (4 universes), A - My Favorites, Andromeda, Angelic realm, Ascended masters - saints, Ascension team, Axiatonal lines - diamond net of Indra - feeder lines of light, Central vertical power current - pranic tube - silver cord - antahkarana, Demon Hordes, Demonic realm, Dimensions - multidimensionality - veils, Dissolving black magic in the Light, Drawings by Alice, Grid of Light – crystal grid – Christ consciousness grid, Hathors (see also 'All - Law of One - Ra'), Health - healing, Human torus, Incoming light - grace - leveling up, Languages of light and sound, Physical regeneration, Soul wounding - soul clearing - core star energy, Star brothers and sisters - exobiology (see also 'Council of Nine'), Timelines - multitemporality - alternate universes - fractals, ZZ- Awakening with Planet Earth and tagged Angelic realm, Ascended Masters, Ascension, ascension team, asking up, axiatonal lines, bilocation, black magic, central vertical power current, dark network, Demon Hordes, demon realm, demons, Drawings by Alice, Earth, Earth hologram, eternal soul, fractal theory, free will planet, galaxy, grid of light, Hathors, Hathors (see also 'All - Law of One - Ra'), health, hologram, incoming light, kundalini, Languages of light and sound, light, milky way, multidimensionality, multiverse, my favorites, omniverse, pranic column, pranic tube, regeneration chamber, silver cord, silver thread, solar system, soul field, soul wounding, Source, star brethren, Star brothers and sisters, sun, synchronicity, telepathy, universe on 18 December 2017 by Alice B. Clagett.